Where’s the promised savings from 4G LTE? This year will be a breakout for LTE as sales of the 4G phones are expected to increase ten times over sales in 2011. The estimate, from research firm Strategy Analytics, notes that 2011 only saw 6.8 million sales of LTE smartphones, with tablets and hotspots adding another 5.5 million subscribers. In 2012, expect 67 million LTE handset sales around the world. The uptake shouldn’t surprise as LTE is the hottest mobile broadband tech around, but it raises consumer-focused questions as we transition to new networks: where is the savings from the more efficient networks? LTE technology is really only just beginning in terms of network rollouts. In the U.S., Verizon debuted its first LTE coverage areas in December of 2010, showing how fast the next-generation wireless service can be; about ten times faster than traditional 3G speeds. AT&T (s t) followed with an LTE launch of its own in five cities by September of 2011. T-Mobile and Sprint(s s) are currently working on similar transitions, while smaller carriers — MetroPCS (s pcs) and U.S. Cellular, to name a few — are already offering LTE service. Essentially, the transition to LTE has only just begun. The pace of this change is picking up steam, however. Verizon recently said that all of its new smartphones and tablets would offer LTE support, so don’t expect to see any new 3G handsets from the carrier going forward. AT&T, too, is adding more LTE phones to its line up, even though LTE service is only available in 28 markets currently. And the biggest driver may not be a carrier at all. Apple’s new iPad is a hot seller — 3 million units in the first weekend alone — and UBS suggests that half all new iPads sold will be the LTE model. Clearly, LTE is the future of mobile broadband and that future is fast approaching. Consumers are getting much faster mobile broadband out of the deal, which enables them to do more with their LTE smartphone or tablet. It’s easier and less time consuming to share large images or videos, stream gobs of online media, download the latest spreadsheet for work or have mobile video chats, for example. That’s great, but is there a cost involved with the transition to LTE? I suggest there is and consumers are heavily subsidizing the 3G to 4G transition. Carriers have accurately said it costs them less to deliver a megabyte of data over LTE than it does over the older 3G networks. And yet, the costs of an LTE data plan are no different than a 3G data plan. Do you want 5 GB of data per month for your 4G tablet? No problem, that’s $50 from Verizon; the same as if you had a 3G tablet. Need 3 GB of data for your AT&T smartphone? That’s $30 regardless of whether your phone has 3G or 4G. The 3G customers are paying the same for slower service and are less likely to hit their caps due to the slower speeds. So they often wind up paying more for less service. Looking at this situation from a 4G device owner standpoint: By transitioning from a 3G device to a 4G device, you’re getting much faster service for the same price as a 3G users. That’s true, but adds another problem to the mix: Overages that can cost up to $10 per extra gigabyte. With a 4G device running ten times faster on the network, you can use up your monthly data allowance much faster. 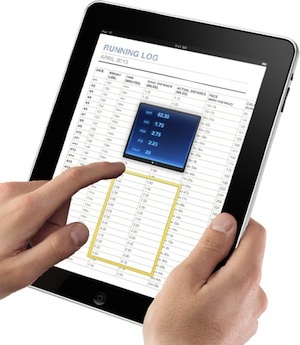 Some new iPad owners are finding that out already, tapping most of their monthly data allotment in just days. The overage issue is better managed on the iPad as owners buy the amount of data they want, but nearly all other tablets and smartphones, including the iPhone, are on a set monthly allotment with overages automatically added as needed. Without a doubt, the transition to 4G LTE is on, and not just in the U.S. By 2015, an estimated 200 LTE networks will be in place around the world. Carriers keep promising it will reduce their costs, but will that savings trickle down to the consumer? Based on history, I suspect we won’t see any savings in the form of a lower monthly bill. Instead, the amount of data you get for your $50 will very slowly rise. Just not enough to let you do everything you want to do on the network in a given month, ensuring that the overage “safety net” is there for you. LTE may be cheaper on a per MB basis. But you cannot compare the cost of installed 3G networks against the cost of planned LTE networks. Another commenter, Frank Rayal, correctly pointed out that the first deployment of LTE actually only has a 2x spectral efficiency over the latest HSPA+ versions. So it’s twice as efficient, but cost billions more to re-deploy. One is deployed, sunk cost, largely amortized. The other requires $ Billions of capital expenditures on upgrades. Yes, the carries are trying to push some of the cost of the CapEx onto the customers. And why wouldn’t they? They are offering a better (faster, lower latency) service. The market will prefer it. What would be their incentive if they passed on the savings to you and me? Some day, later on when there is more LTE competition, its prices, too, will fall. Even though the cost of capacity is lower in LTE, the large demand on capacity means that the total cost to deliver this capacity will continue to increase. LTE is at most twice as efficient as 3G. Also LTE is all-IP network, which reduces cost over 3G network which has a circuit-switch component to handle voice. However, the cost of the radio access network which constitutes 65% of the total cost of wireless networks is about the same for 3G and LTE. Demand for data continues to about double every year. So although the cost per bit is getting lower, these factors mean that the total cost for the network remains high. That’s why I don’t see a break to consumers since operators are looking at a data deluge and don’t quite know how to solve the problem. One solution will be to deploy low cost small base stations and a wireless backhaul solution like what BLiNQ Networks propose (www.blinqnetworks.com/blog). Governments like to auction wireless spectrum, Pushing prices up, when they should actually be encouraging mobile data uptake. LTE may also destroy carriers, turning them into commodity data providers. Nobody will need a traditional “phone call” any more (or the per-minute costs that go with them). I just replaced my ADSL2+ internet connectioon with a 4G receiver connected to a Wi-Fi router to illuminate the house. Then all my devices get 4G speed. It’s very very fast, but then again, I’m in a very good signal area, and 4G has relativeky few users to slow it down. Why else do U.S. carriers charge $10/GB when consumers in Europe and Asia pay as little as $2/GB? Never mind that 4G speeds over there are magnitudes faster. Do you think metered billing is the solution? Not at $10/GB, and not when that still puts a financial cap on how much data you can use. The future of mobile broadband IMO lies in speed-based pricing, similar to what Clear currently offers. It’s surprising that they really have no competition even after a 2-year market presence. I guess $50/month for unlimited 4G without data caps and overage charges is too good of a deal to beat. So I agree with you there, but I disagree on your comparison of the pricing between the U.S. and other parts of the world. Take the U.K., for example. We have far more people spread out over a much larger land mass. It costs more offer coverage here. The second point is that there are multiple competing networks there; we really haven’t had that same setup and are just now *starting* to get there with LTE. But it won’t even be true competition due to different 700 MHz spectrum bands. My point is: you’re talking about the costs without knowing how much it takes to deliver capacity here in the U.S. I know you were hot on unlimited plans with Virgin Mobile and that went away. Sprint is barely holding on to its unlimited offers. Others have bailed on it. Why? Not necessarily because of greed, but because of the costs. And you can tout Clear as an example, because they do still offer unlimited data, but what has it cost them? Billions in losses. The arguments are valid but the US customer base also means that the carriers have more revenue to cover the costs. And looking at the coverage maps, the carriers don’t really seem to think the full land mass but the areas where people density is high. Wrong. 4G speeds “over there” are mostly non-existent. Most of Europe has no 4G, no LTE. They haven’t even auctioned off the spectrum yet. There are pockets of LTE like Stockholm, but in the UK, France, Spain, Germany…not so much. Bouygues telecom, a competitor in France, offers postpaid mobile data plans of 300MB for 10â‚¬, or 6GB for 50â‚¬ (about $65). It’s HSPA+ and you are throttled after your 6GB. You should try to be more accurate in the future. I don’t expect much from the carriers. Other than Hollywood there’s not a bigger collection of “out of touch” executives. On one hand you’ve got the T-Mobile CEO saying Subsidies are bad for the industry and create a thow-a-way ideal with Smartphones (which I disagree with). The reality is they don’t want to pay more for the hottest smartphones in order to get customers. They want to snow consumers into two year contracts while only covering a couple hundred dollars. So the carriers don’t like subsidies on the phones nor do they particularly like the idea reduced pricing for those who chose not to do the subsidy. How exactly are they planning to convince consumers to sign up for 2 year contracts?? Every action they have taken has been trying to load of their coffers with money and frankly the consumers aren’t going to accept this unless plans improve and subsidies stay. Not really fair of you to juxtapose a T-Mobile CEO statement against a Verizon rep’s actions and cite “inconsistency”. Those are two different companies, y’know. In fact, T-Mo offers exactly the kind of discount for which GasÃ©e was asking. I don’t disagree that there’s a lot about subsidies and BYOD that’s messed up in the USA, but you should put together a valid argument if you want to slam the telcos.